Softest. Cardigan. EVERRR! Once you put it on you will not want to take it off! The fabric is a dreamy soft rayon-blend with plenty of stretch. 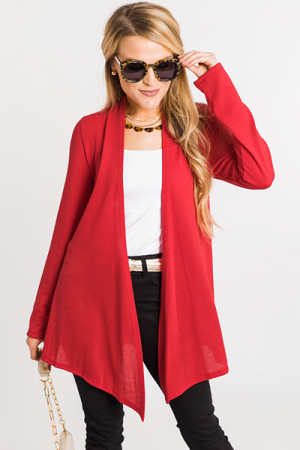 Cardigan is extra cozy with a hood and pockets.